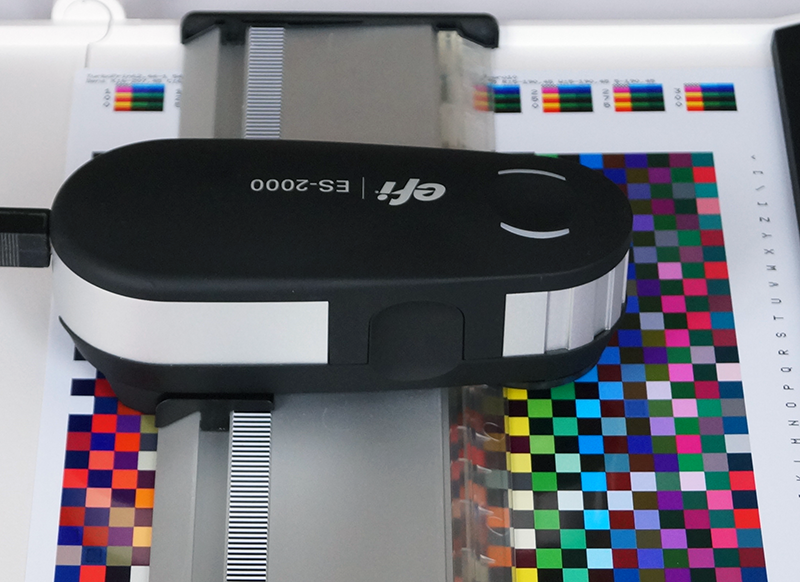 Bring color accuracy and print quality to perfection - with an individual color calibration for paper and ink. On different media types, slightly different color tones will appear when applying the same amount of ink. This is due to different characteristics of paper including ink absorption, chemical reactions of the ink, the paper’s surface and even the paper color. When using compatible inks colors will also be siginficantly different. 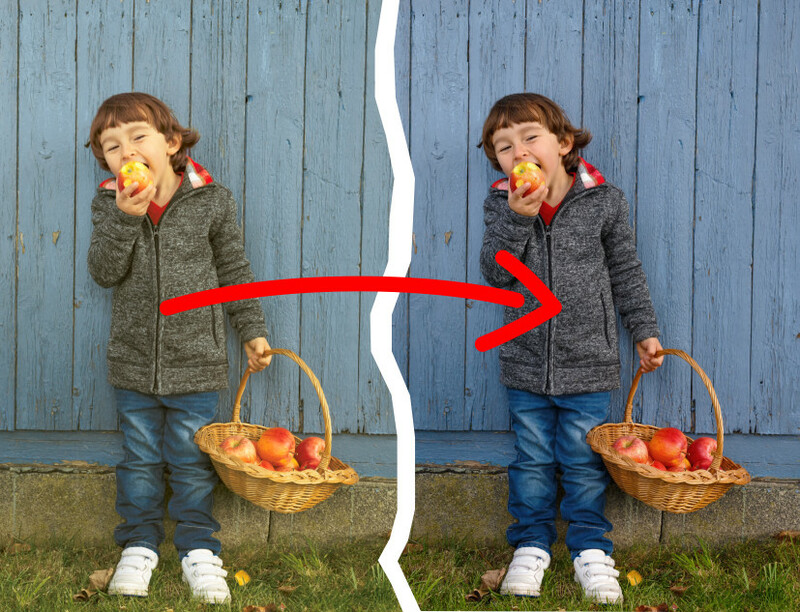 To reproduce true colors with any paper the printer driver’s color conversion must be adjusted to this paper. The ink values for mixing correct colors are stored in a color calibration table, the “color profile”. 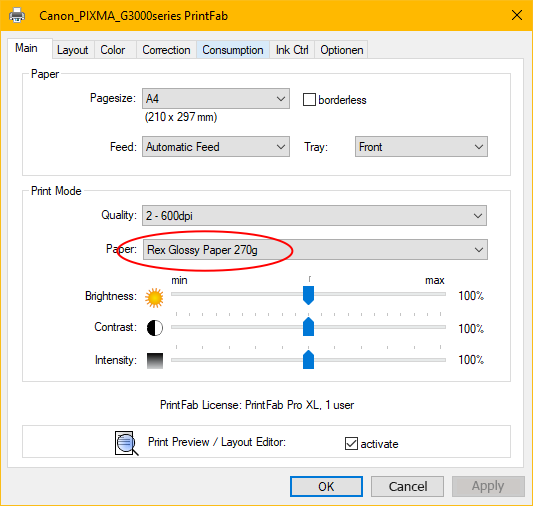 PrintFab and TurboPrint support the ICC color profile standard, i.e. you can use such profiles in our software's color management. However, it is important that the color chart that is measured during profile creation was printed with the PrintFab / TurboPrint driver - otherwise the resulting colors will not be correct. 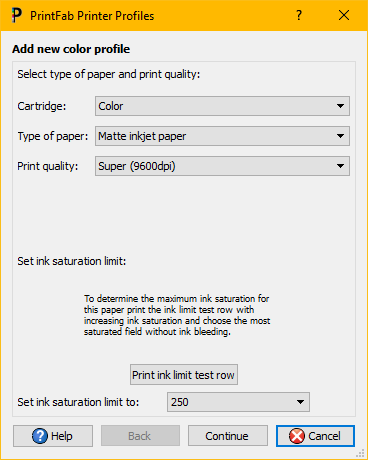 In the profile dialog, add a new entry for the paper you want to profile and make a test print to determine how much ink the paper can accept before the colors "bleed" and ink runs into neighbouring color patches. 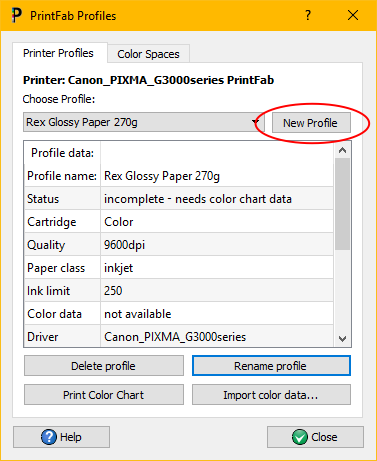 Then enter a significant name for the new profile so that you can find it easily in the print dialog. Now click the button "Print color chart" in the color profile dialog to print a color chart with about 700 different color patches on the paper you want to profile and send it in to ZEDOnet profiling service (the chart contains all relevant information, no additional cover letter is required). To be able to offer the profile measurement service at a low price we have set up an internet order system where you purchase an order number first. By indicating this order number you prove that the measuring fee is already paid and ensure that you will be sent your individual profile by email without any further requests. The order code and the color profile can be used platform independently with PrintFab (Windows and Mac OS X) or TurboPrint (Linux). The ZEDOnet color profiling service can only process color charts with a valid order code. Processing time usually less than 7 days. Note: the profile will be created for the dynamic color management of PrintFab and TurboPrint drivers - it is not a standard ICC profile. With a color measurement device and an ICC color profiling software you can create your own color profiles. A colorimeter determines the color by measuring the spectral distribution of the reflected light in several components (e.g. red, green and blue), this is adequate for high quality RGB photo printing. A spectrophotometer measures many spectral bands of color (usually 32 or more) which means that it is more accurate and can also compute how a color will look under different lighting conditions. 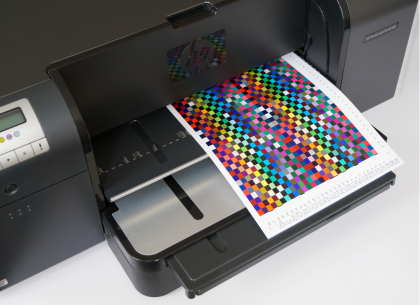 Such a device is recommended if you want to make "proof prints" in prepress applications. 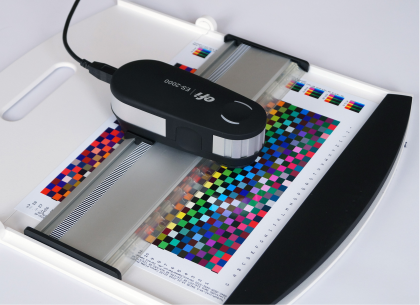 Common color measurement devices are the X-Rite "ColorMunki" and "i1Pro" (also available in a variant from EFI) and the Datacolor "Spyder Print". A color profile creation software is often bundled with the color measurement device but can also obtained separately. Such a software controls all the steps mentioned in point 1 - printing a profile color chart, measuring the color patches in the chart and computing an ICC profile.